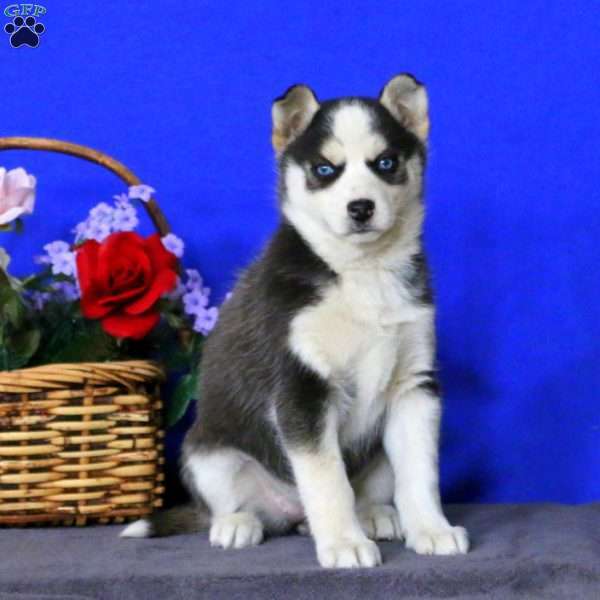 Julie is a sharp looking Siberian Husky Mix puppy with an expressive personality. This friendly gal is up to date on shots and dewormer plus, she has been vet checked. 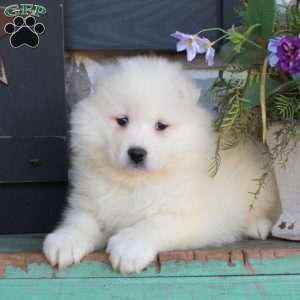 Julie is family raised and comes with a health guarantee that the breeder provides. Julie is sure to make a great addition to your family. 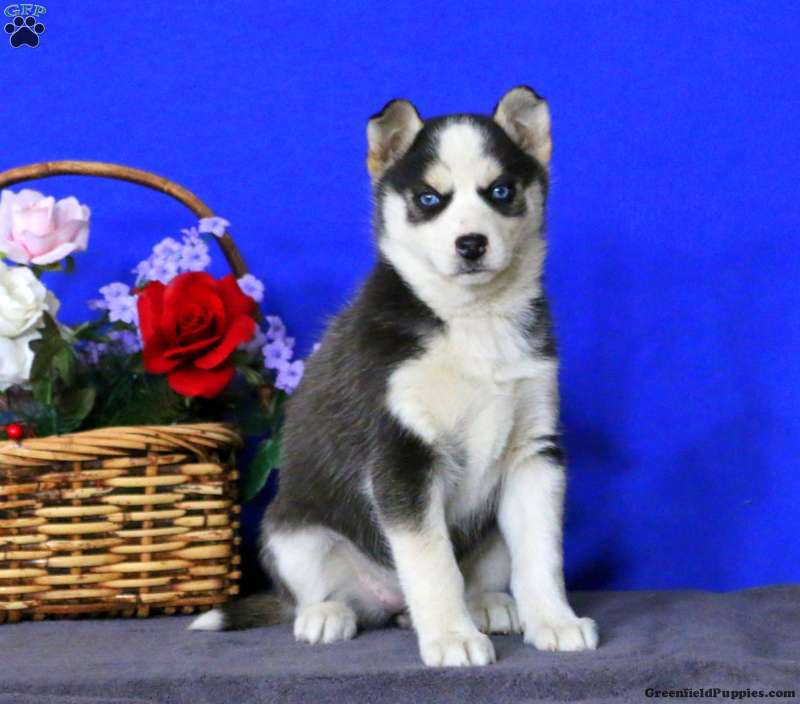 Contact the breeder today to arrange a visit.